Readers of this blog will of course know that I have been working on a book on climbing injuries for some years. It has turned out to be a much bigger book than I originally envisaged. It has been a huge project, but in a few weeks I will reach the finish line. The book is currently with the printers and some time in the next few weeks, many boxes of copies will arrive at my house. The final stages were a rather exhausting process, but I’m excited to release it and potentially help healthy climbers stay healthy and injured climbers to get back to the fray. I’ll write a more detailed post about the content of the book when the stock arrives in early February. If you want to make sure you get a copy as soon as you can, we’ve put it up for pre-order in the shop here, and it’ll be in the post to you as soon as it arrives. I’ve also added the table of contents below so you have an idea of the breadth of the areas covered. My aim was to write the manual on how to stay healthy as a climbing athlete that I wished I’d had when I was 16. The first priority was to base my writing on the cutting edge of sports medicine research, wherever it was available. The second was to include all the diverse aspects of injury prevention and recovery, and then present them in a way that allows you to see them in the whole context of your efforts to stay injury free. As with the world of training, too many injury texts focus on or overplay the importance of just one aspect of sports medicine. Having spent around 4 years researching, thinking and writing the book, I do feel that if I’d had access to the information contained in it when I was a teenager, my health and climbing achievements over the past 20 years would have been significantly better. I hope the book can make this difference both for both youngsters who have yet to experience injury, and battle scarred climbers like myself. Below is the table of contents, so you can get idea of the scope of the book. You’ll find the book in the shop here. Why the treatments you have tried aren’t working, and what to do about it. Are you only treating symptoms? Face it: it really is that bad! Apart from a brief break with my family over Christmas, I have been on something of a lockdown to get my climbing injuries book ready to send to the printers. No distractions, no messing about, just getting down to serious work. Such is the way with big projects, both on the rock and off. It can be relatively easy to get to the nearly there stage. But exponentially harder to see off all those hurdles that jump up between ‘close’ and ‘done’. So long as you don’t look at your email inbox, living in the highlands does make it easier to pile drive through work tasks of this nature. I’m desperate to finish them all, stone dead, and then move on and go back to the rock and ice in time for the good conditions arriving. I spent Hogmanay in PDF print settings hell, and since then have tidied up countless other loose ends that need to be sorted to get it there. Although the little things keep coming, it will be off to the printers imminently, and I will post up more information about it then. 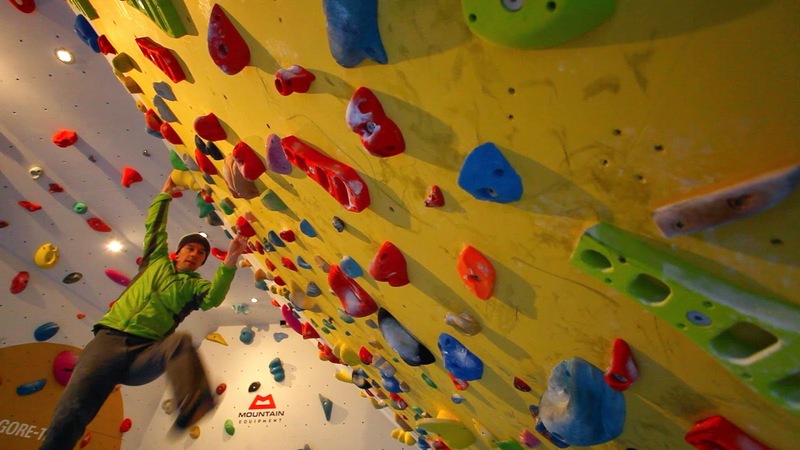 I’ve also just finished three climbing related films, all of a very different nature which will be online soon to show you. As the January gales and rain have raged outside here, I’ve been dashing between the house and the board for training. Two or three little mid-winter tasks remain on my list, most of which ought to be crushed by some time next week. And then it will be time to climb.